Corner of Webster and North Main St. 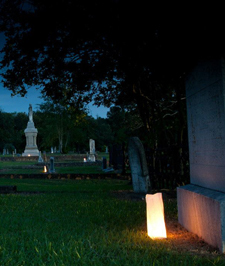 Returning to the event this year is the "Illumination" at old Oakwood Cemetery where hundreds of Civil War veterans are buried. 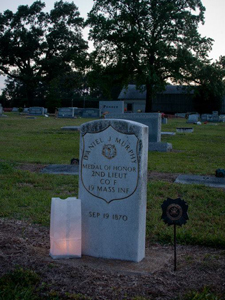 This moving recognition of the veterans buried there – with candles illuminating the headstones – will be held Friday, May 3rd from 7:30 - 10:00 p.m. Visitors may wander through the old cemetery and reflect on the sacrifices made by men on both sides of the conflict while listening to a closed-circuit radio broadcast providing biographical information on some of the troops. Admission to the "Illumination" is free but a rental fee of $5 is charged for access to the broadcast.